This short video from Mahalo demonstrates how to make a Christmas snowflake. These can be very effective done in lots of different colours and hung as mobiles in the classroom or on classroom windows, letting the light shine through them. This short Video from Mahalo gives a demonstration on how to make a simple pop-up Christmas Card. 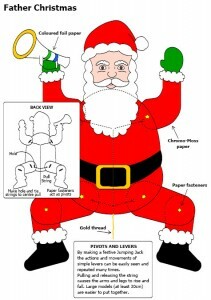 Use this template to create a Father Christmas who will dance when you pull the string. 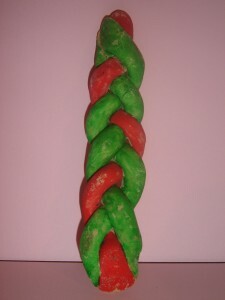 Create a Christmas Plait decoration using a salt dough recipe included in the Christmas Wreath resources. 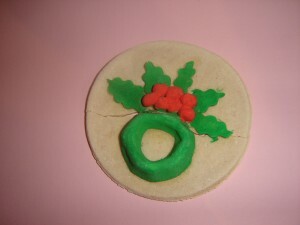 Create a Candle Holder decoration using a salt dough recipe included in the Christmas Wreath resources.